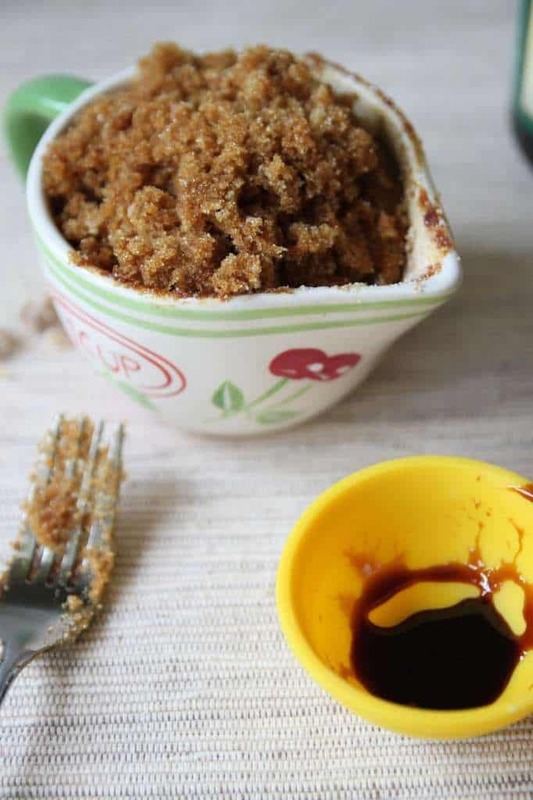 Learn to make rich and delicious homemade brown sugar with just two simple ingredients and only 10 minutes! Hi everyone! I’m Brandi from BranAppetit, and I’m so happy to be here sharing one of my favorite kitchen fixes. If you’re anything like me, you forget to buy things at the store pretty regularly. Even when I have them on my list, sometimes I miss the aisle or I start thinking about something else that I need and I completely miss things like eggs or sugar or coffee. All necessities. Let’s say you just got back from the store and are ready to make a batch of cookies. You reach for the brown sugar and realize you don’t have any. What do you do? If you’re like me, you’re not going to want to put shoes on again and drive into town for sugar. So what do you do if you need brown sugar right-this-minute? 1. Pray that you have enough white sugar to do this. 2. Get out the same amount of white sugar – need 3/4 cup of brown sugar? Get 3/4 cup of white. 3. Grab that molasses that you barely use. And you may never go back to store-bought brown sugar. This stuff smells incredible! Like…so good that you’ll just want to make it your new face scrub, right then, and forget about baking cookies. You’ve been warned. A big THANK YOU goes out to Brandi for sharing with us her great, simple recipe for making homemade brown sugar! But you’re in for a treat… Brandi is sharing another amazing recipe with us later this week! So be sure to come back for that! If you want to see more of the deliciousness that Brandi has make, visit her blog BranAppetit! You can also find her on Facebook, Google+, Twitter and Pinterest! 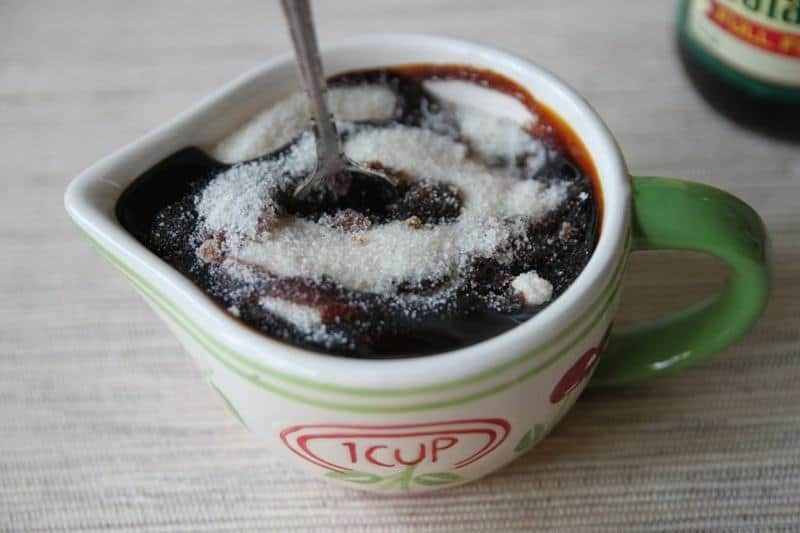 Pour sugar into a medium bowl and drizzle the molasses on top. Stir together with a fork, mixing the molasses into the sugar. 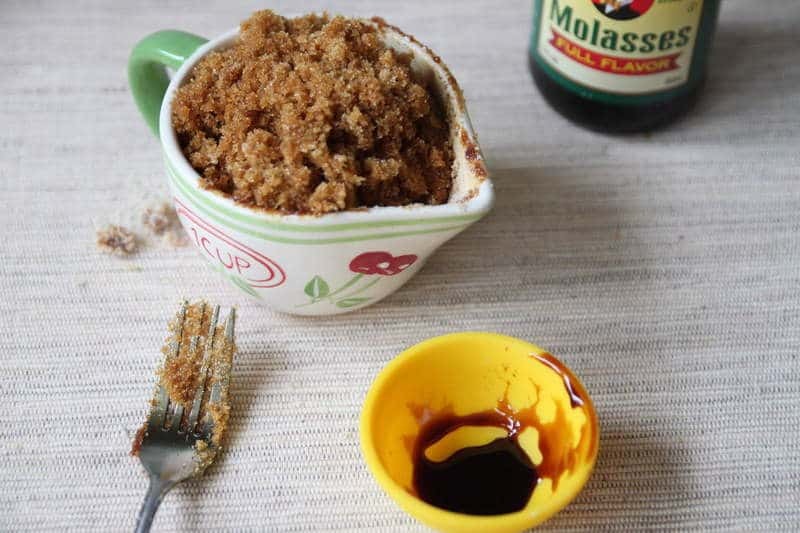 The sugar will clump up with the molasses – don’t freak out! Just keep mixing. Fluff the sugar with your fork a few times once all the molasses is mixed into the sugar. Use immediately or store in an air-tight container. HaHa! I actually looked for my molasses yesterday to make brown sugar for the banana bread i had started. Alas, I was out of that too! Thanks for the ratios – I would have had to google those! I really need to buy molasses! I actually used this recipe for brown sugar in a recipe for brownies recently…. worked perfectly! !